Please feel free to come and fellowship with us at any of our regular monthly meetings on the 2nd Monday night of the month at 6:30 at the church in the Fellowship Hall. SISTERS!! We are called United Methodist Women, but we think of ourselves as sisters-sisters in Christ, working with other UMW organizations to better the lives of women, youth and children around the world through missions. We are members of the Western NC Conference UMW which is currently #1 in the US in mission giving. The Mt. 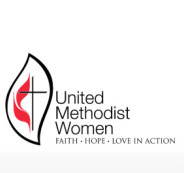 Bethel UMW circle meets monthly at the church on the second Monday night at 6:30 for a short business meeting, lively program and refreshments. Ask any one of "the girls” who attend, and they’ll tell you it is indeed a “sisterhood” where you’ll find spiritual and personal encouragement and support, and endearing friendships. 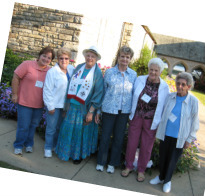 The group enjoys taking part in annually sponsored events through the Methodist Church such as local Mission Studies at area churches, Spiritual Growth weekend at Lake Junaluska (nothing like it! ), School of Christian Missions at Pfeiffer College and District and Conference UMW Annual Meetings. Visits to support active and retired missionaries are also a highlight for the group. These activities serve to open our hearts and minds to the plight of God’s people around the world and lead us to answer His call. Our "Faith, Hope and Love” is put into action as we continually strive to stand up for and protect the social and economic rights of His children. 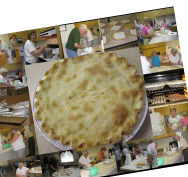 The projects and fundraisers that are held throughout the year by the ladies assist local church programs as well as various mission projects in the community and beyond. We would love for you to join us….come find out what you’re missing! You will be blessed.